Within the past two weeks, three separate outbreaks at summer camps have been reported. The most common ways in which illnesses can spread in these settings include food, water, animals, person-to-person, mosquitoes and ticks. These outbreaks are still under investigation, but diarrhea or vomiting has been reported as the primary symptom. 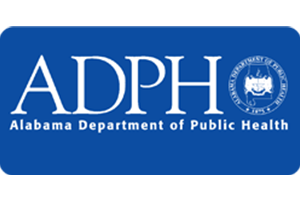 The Alabama Department of Public Health (ADPH) would like to provide some basic control measures to campers and staff alike in these types of settings. “Parents, it is recommended that you keep your child home if he or she has been sick in the two weeks prior to them attending any type of summer camp,” Epidemiologist Amanda Ingram said. Finally, parents and staff should stress the importance of washing hands, rather than using hand sanitizers, as those products are not effective against illnesses caused by viruses (such as influenza and norovirus). In the event soap and water are unavailable, use an alcohol-based hand sanitizer that contains at least 60 percent alcohol to reduce the number of germs on hands.